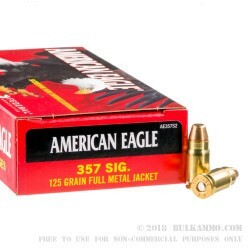 American Eagle 357 Sig Ammo is a heavy hitter in the ammo world because of the high-quality products they produce and because they are under the Vista Outdoors umbrella. Vista Outdoors is well known for owning Federal Ammunition, American Eagle, and many more easily recognized giants in the world of cartridges. The flat nose design of this American Eagle .357 SIG bullet is a favorite among target shooters for its low-profile construction, reliable feeding, and performance at the range. These new, heavy duty, thick walled, Boxer primed, reloadable, brass shells are topped with American Eagles’ 125 grain FMJ .357 SIG bullet. The muzzle energy of these .357 Sig loads tops out at a hard-hitting 506-foot pounds, and their muzzle velocity screams at 1350-feet per second. 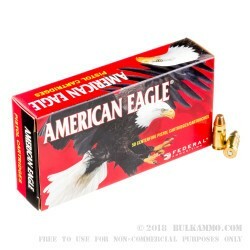 These rounds come in the easily recognized red American Eagle 50 round box. These rounds are the ideal companion for any trip to the range including you and your family, your department, or your friends. They are also great for competition, training, and they make a perfect round to stock up on. Grab yourself a few boxes today. My Federal 357 SIG ammo arrived today. This would be another great buy from Bulk Ammo. 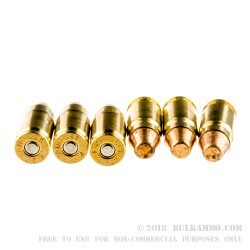 If your not in a real hurry to get your ammo, then Bulk Ammo is the place to shop. 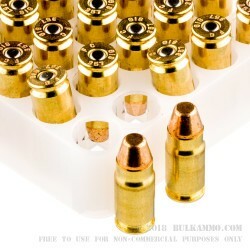 Competitive pricing, good selection and decent shipping is what Bulk Ammo offers. Can't wait to see how well this particular brand cycles through my TNW ASR Rifle this weekend.